Okay, here's something I picked up just recently, it's some months(!) 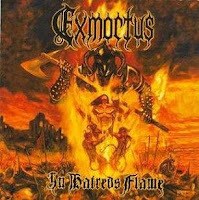 older by now, but as 'Exmortus' are quite unknown and play some really good Death/thrash, I thought I post this belatedly. Review at Sputnik link. All 5 tracks on their myspace are from their new record, so give it a try if you like the genre!